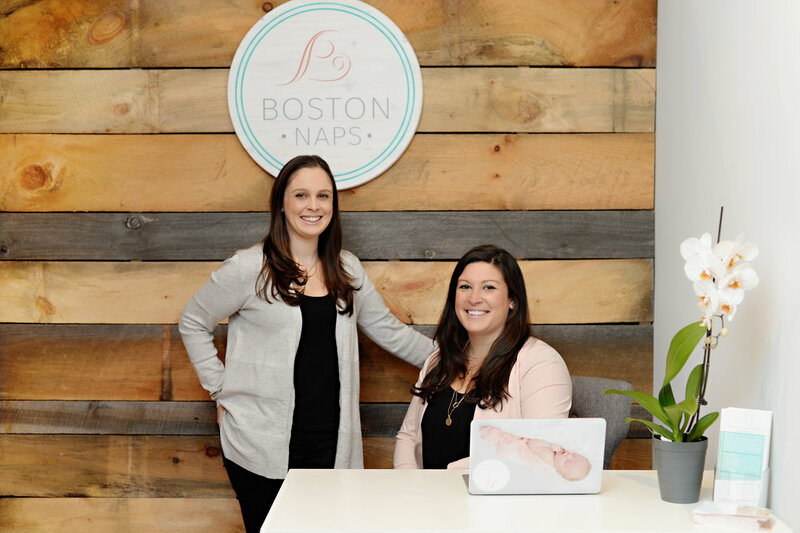 Boston NAPS co-founders Emily Silver (left) and Jamie O'Day (right). Thank you for visiting Boston NAPS. Whether you are expecting, new to parenthood or an experienced mom, we are thrilled to share this exciting time with you! As mothers ourselves, we feel privileged and blessed each day to share the most memorable moments of our clients' lives. Our experience as Registered Nurses in Boston includes working full-time on a labor and delivery unit and teaching labor classes. Together, we launched Boston NAPS to complete the pregnancy journey by helping mothers and newborns transition to the home setting. We personally design every class we offer to cover the full spectrum of support, education and bonding — both between mom and baby, and with other moms! Whether you need assistance during the day with feedings and diaper care, help with breastfeeding, or just a good night's sleep, we will be at your side to help along the way. We want you to feel comfortable and safe caring for the newest addition to your family. We look forward to caring for you and your newborn! As a Labor and Delivery Registered Nurse at several hospitals, Jamie has worked with countless parents as they welcome a baby into the world, and seen first-hand the full spectrum of challenges, emotions and joy they face. Today, as a mother of two girls (soon to be 3! ), Jamie manages Boston NAPS full-time. Her role allows her to focus on her passion: Working closely with families to ensure they feel comfortable and well cared for as they transition home with their babies. As a Board Certified Lactation Consultant (IBCLC), Jamie understands the difference that additional training and expertise can make. She loves working with mothers to support them in all of their feeding goals, and helping mothers feel comfortable and confident in their choices in a non-judgement way. Jamie lives in South Boston with her husband, daughters (Catherine and Mackenzie) and dog Brutus. She enjoys traveling, cooking and relaxing with family and friends. 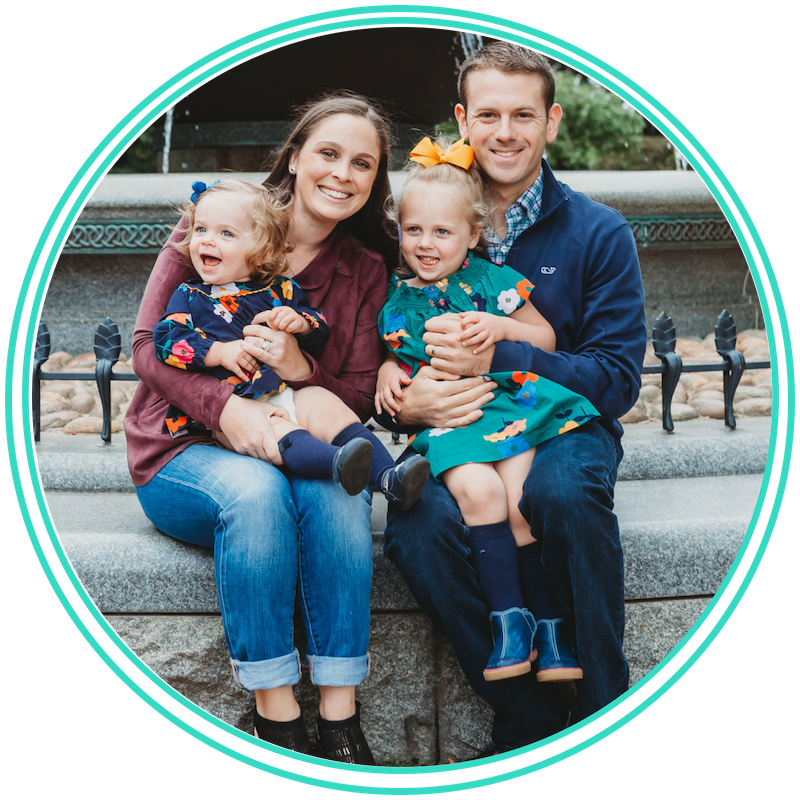 Emily is a Family Nurse Practitioner, and has previously worked in many different inpatient and outpatient settings before deciding to run Boston NAPS full time. Emily previously worked for a little over 10 years as a Registered Nurse, on a medical floor and then on a labor and delivery until, followed by practicing as an NP at a private OB/GYN practice. Emily now dedicates her time to education for Boston NAPS families during their pregnancies, as well as providing in-home breastfeeding visits for both new and experienced moms. She loves visiting moms during their first few days home from the hospital, and running Mom's Survival Guide support groups for Boston NAPS. Emily's passion lies in education, and she was a former clinical instructor for Boston College for about five years, and now guest lectures once a semester for the Connell School of Nursing maternity students. Emily lives in Charlestown with her husband and two daughters, Grace and Madelyn, and dog Maisey. She enjoys spending time with her family and traveling, especially to the beach.